The driver of a pickup truck loses control on the icy highway and veers into oncoming lanes. The pickup then gets completely obliterated by an oncoming 18-wheeler truck in what looks to be a fatal accident. 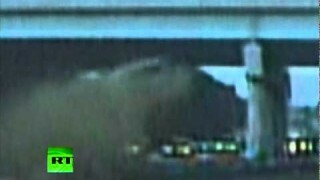 18-wheeler truck crashes through the highway lane-divider and almost annihilates lucky driver. 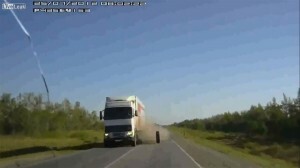 Lucky driver barely escapes accident with large truck. 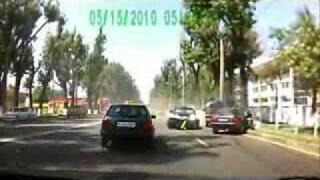 Driver causes multiple accidents driving into oncoming lane. The driver with the dash cam was lucky, but not many others were. 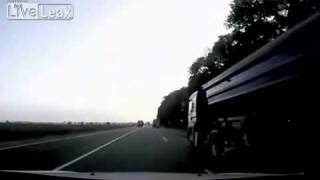 Luck driver barely misses a head-on collision on the highway after almost being struck by another vehicle. 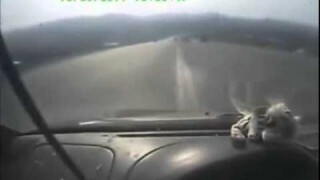 The wheel falls off an oncoming 18-wheeler on the highway and smashes directly into the dash cam vehicle.